Sou | 4:15 AM Feel free to comment! 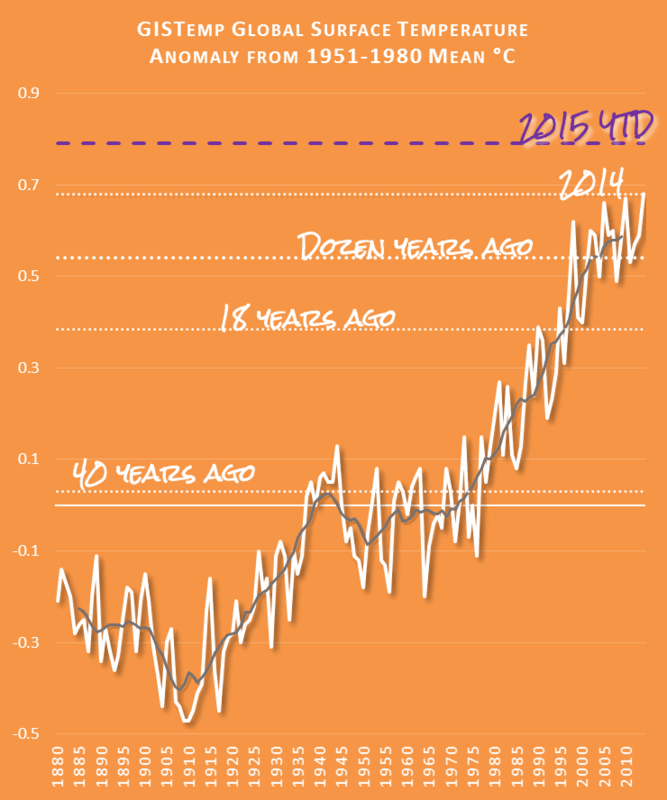 The new paper published today in Science, by researchers at NOAA, shows that global temperatures have continued to rise at the same rate this century as they did in the second half of last century. I've discussed that paper already, in a separate article. This article is (probably) part of a series of the "frenzy of denial" by science deniers. They really don't want to read anything that shows the world continues to warm. Anthony Watts was the first out the gate, arguably breaking the embargo on the Science paper. He made no impression the first time, so he tried again. Maybe Daily Mail reporter, David Rose, beat his second article by a nose. Fred Singer from the denier lobby group, the Heartland Institute, was the first to convincingly break the embargo, with an article at some extremist right wing website, that began with the exclamation "Wow!" Wow!Science mag is publishing a blockbuster paper today, June 4.Oh boy!Get ready to watch yet another big fight about climate change -- this time mainly among different groups of climate alarmists.Is there a “pause”?Did global climate really stop warming during the last dozen years, 18 years, or even 40 years, in spite of rising levels of the greenhouse (GH) gas carbon dioxide? Sorry Fred. There won't be any big fuss about this from scientists. I doubt too many will be saying that the paper is wrong. Not that I've seen at any rate. The world continues to warm and the only people who dispute that are deniers. Fred thinks that "NCDC-NOAA may end up with egg on their collective faces". Like Anthony Watts, Fred hasn't yet woken up to the fact that NCDC is no longer called that. It's now the Center for Weather and Climate, and has been merged into the National Centers for Environmental Information (NCEI). Fred said it "does look a little suspicious" that the authors wrote about temperature trends to 2014 this year, after the data for last year became available. I presume he would have preferred to see a paper that wrote about 2014 actuals written in 2013, or 2010. He's itching to "watch the sparks fly". I don't know about that. Just in case there aren't any sparks, Fred decides for some weird reason that scientists should be using lower troposphere temperatures to see what is happening on the land and sea surface. Does he really and truly think that we live up in the clouds? Or does he think the land surface is at a higher altitude than it is. He seems to think that trying to juggle data from microwave sensors, adjust for drift in multiple satellites and miss out on temperatures above the polar regions, is a better way to measure temperature on the land and sea surface than thermometers located at surface level. Carl Mears, who reports RSS satellite data, says he considers surface datasets to be "to be more reliable than satellite datasets". If you want to read about complications with analysing and reporting temperature data derived from satellite instruments - I've listed some papers here. Fred stumbles about fishing up one red herring after another. For example, he makes the completely irrelevant claim that Michael Mann hasn't released some data - I don't know what data Fred wants, but there is plenty provided, for example here and here and here. Analyses of instrumental data (Brohan et al., 2006) shows that the last decade of the 20th century was much warmer than the 20th century mean nearly everywhere over NH land areas with sufficient data (Fig. C1). Moreover, the first decade of the 21st century was even warmer in most locations, thus, providing evidence that the long-term, largescale, NH warming that began in the 17th century and accelerated in the 20th century has continued unabated. And Fred Singer makes the same absurd claim about the work of Dr David Anderson from NOAA. In neither case does he back it up with any references, which is understandable. It would show Fred up as a liar all too clearly. Thus there is no evidence whatsoever of any warming from human-released CO2 during the whole of the 20th century or earlier. Look at the charts. Read the IPCC reports. 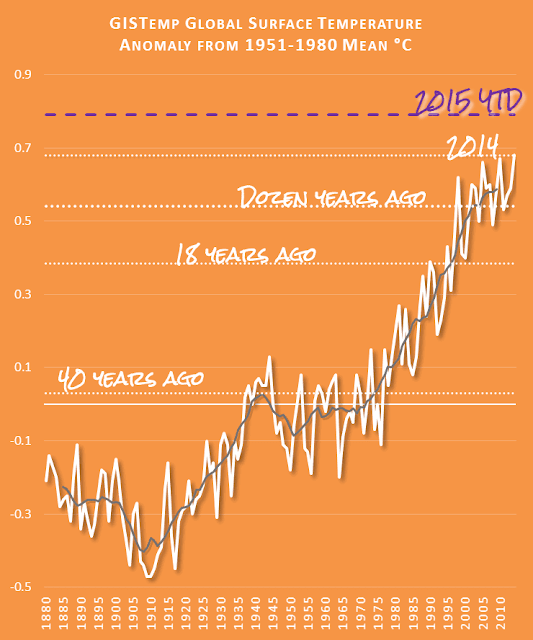 S. Fred Singer is not just a climate science denier, he is a greenhouse effect denier. 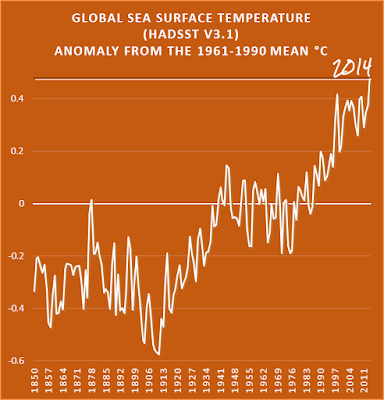 Some papers discussing satellite-derived data for atmospheric temperature - April 2015.